One of our most refreshing ingredient kits available! 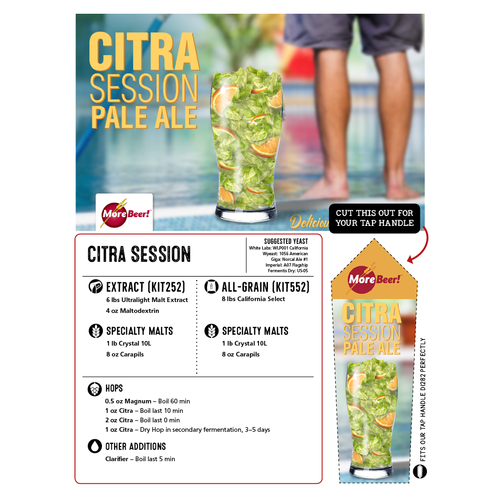 The Citra Session is a low ABV, low SRM pale ale. The thing we love the most about this kit is that the citra hop profile comes through beautifully and is able to shine due to a basic malt bill, low ABV, and clean bitterness from our magnum hops. 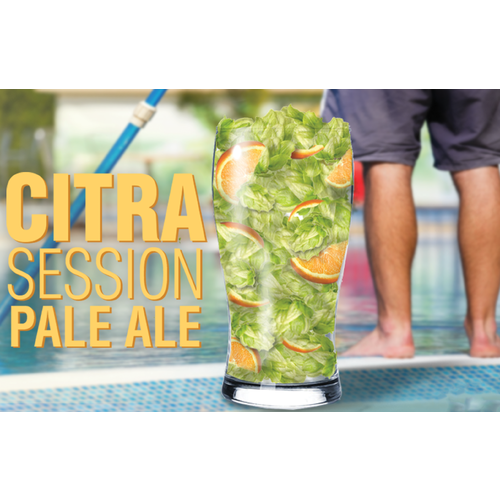 If you're looking for a clean, hoppy beer that you'd be able to have a couple of without the IPA buzz, the Citra Session Pale Ale should definitely be on your radar! Love a citra pale ale! I'm eager to get more Citra into my life. Citra is a house favorite. Easy to make or modify into another recipe. 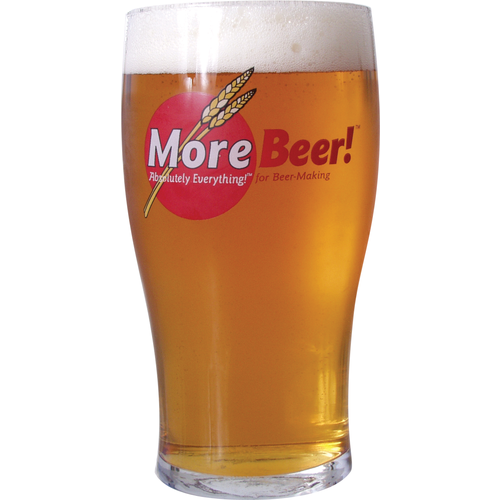 I have brewed this kit before and it is a very tasty beer that many like. add a little more pale malt and some corn sugar to boost the ABV if you like but it is good as it is. Want an after lawn mowing beer for this summer. kegged it yesterday and pulled a few ozs off to make some head space as i had about 5.5 gallons in the fermentor that overflowed my keg .... super good. came out at 5.6%. Very happy with how this one turned out. Would make again. This kit is a home run! I brew 2.5 gallon batches so I just split this kit in 2. 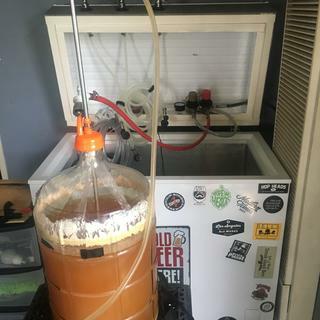 I fermented 1 batch with Wyeast 1272 and the other with US-05. Both are outstanding! Nothing wrong with the kit - but it is even lighter than I thought & I would prefer a little more citra. I always thought session beers where a joke until I made this. Lots of flavor and you can drink beer for beer with your bud light buddies. This has become a regular on one of my home taps. Delicious. You will not be disappointed. Mine was very good, would brew again. Made this all grain kit because I like to have a beer around that I can drink a few of in one sitting and not get hammered. Very simple recipe to make and came out very nice. Great citrus aroma with a good looking light amber color. I would recommend this to anyone who wanted something with that IPA aroma but easy drinkability.